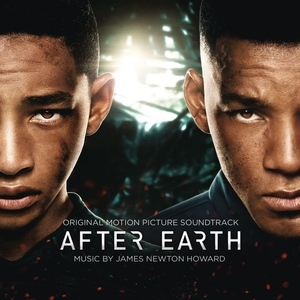 Sony Music is pleased to announce the release of the original soundtrack, After Earth, directed by M.Night Shyamalan, featuring music written by Academy Award nominated film composer James Newton Howard and starring Will Smith and Jaden Smith. The movie opens nationwide on May 31, 2013. The soundtrack recording will be available on Tuesday, June 11 from Sony Music. In After Earth, a crash landing leaves teenager Kitai Raige (Jaden Smith) and his legendary father Cypher (Will Smith) stranded on Earth 1,000 years after cataclysmic events forced humanity's escape. With Cypher critically injured, Kitai must embark on a perilous journey to signal for help, facing uncharted terrain, evolved animal species that now rule the planet, and an unstoppable alien creature that escaped during the crash. Father and son must learn to work together and trust one another if they want any chance of returning home. Columbia Pictures presents an Overbrook Entertainment/Blinding Edge Pictures production directed by M. Night Shyamalan from a screenplay by Gary Whitta and M. Night Shyamalan and a story by Will Smith, and produced by Caleeb Pinkett, Jada Pinkett Smith & Will Smith, James Lassiter, and M. Night Shyamalan.